Well , who wants to eat Spinach anyways…only if it’s the poppeyye from the kids show( but no wonder he is a ficticious character., else i am dead sure if he was for real he wud have been dead eating all that spinach ) Well jokes apart, there do exists mouth watering dishes that made of Palak (spinach) and off course the most easily available in any of north Indian cuisine is Palak Paneer. (You only choose it to feel that you did ate something healthy while you were eating out ). Today i would like to talk about a dish made of Palak and Paneer but is not so Palak Paneer. 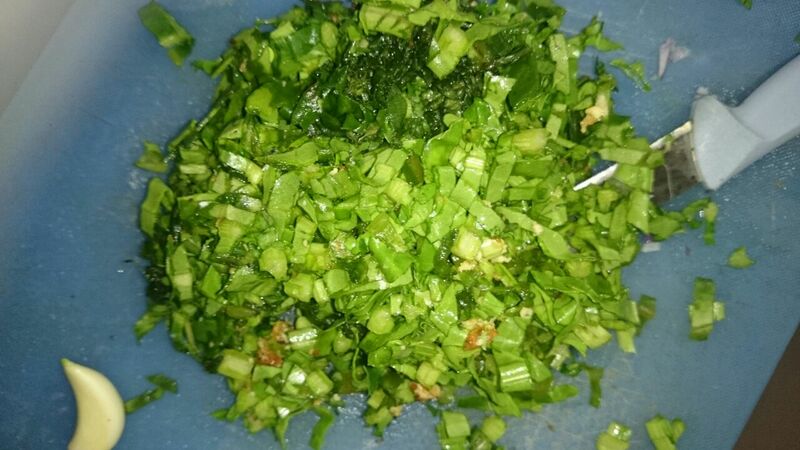 Ingredients: 1 spoon olive oil,250 gm of Palak , 150 gm paneer ( cottage cheese) cut in cubes , 1 large onion finely chopped , 4 clove of garlic finely chopped , olive oil ,salt , ginger small piece finely chopped and turmeric powder. So guys this is a recipe for you if you bored with the regular palak paneer which you have had for ages now, if you are a vegetarian and in love with paneer ( as if you really have a choice ), if you gyming and have to have green leafy vegetable in the meals, if you are dieting and wish to skip a chapati meal, if you want to add variety to your palak paneer dish…more importantly for all those lovely women who are always racing against the time to make something quickly. 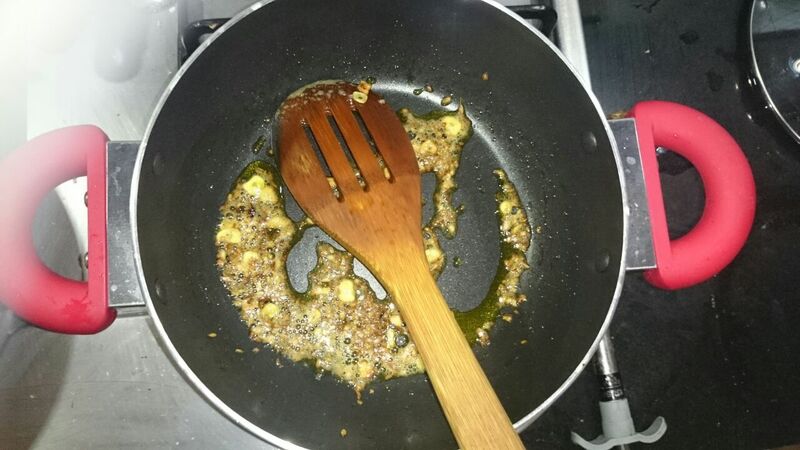 Take a non stick pan , pour 1 tea spoon of olive oil (you can use any oil of your choice and can even go for Desi Ghee if you are in love with desi ghee ). When oil is good to go add cumin seeds , let them turn brown then add onion, garlic and ginger all of them finely chopped. Let it turn brown , keep Stirring while you are chopping spinach into very fine pieces. Add salt, turmeric, stir it for 10 seconds and now Add finely chopped spinach. Stir it again to mix all the ingredient and lid the pan. 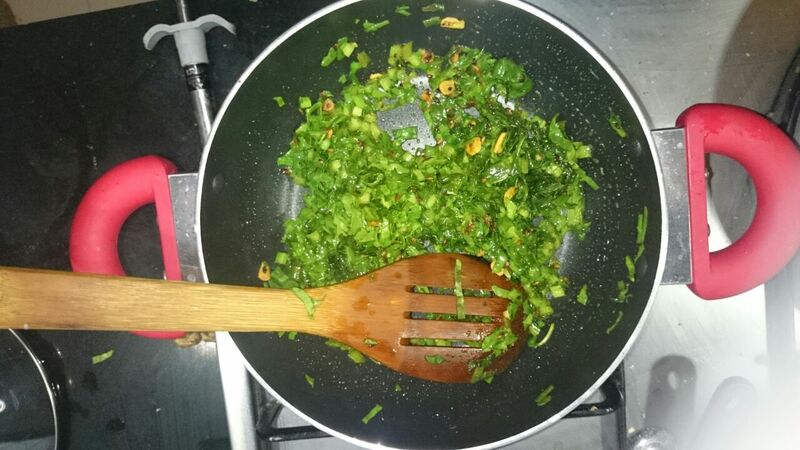 Keep it on flame for 10 minutes , don’t miss to stir in between to ensure that non stick is doing its job., and of course our not so palak paneer is being cooked. How to check if the Dish is ready :wait for someone to come and eat it and confirm. 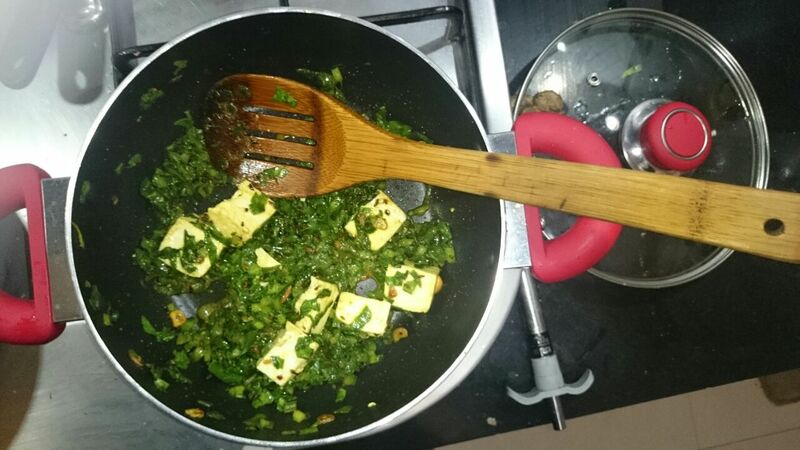 Else you can check it yourself if the paneer peices have turned light brown and palak is good to eat. This wouldn’t for sure taste like your regular Palak Paneer. It allows you to consume more quantity of palak and paneer. You can have it with bread, chapati, add salad to this or can have it like a starter. It cooks itself in the water released by Palak while getting cooked while Paneer absorbs it completely to add to the flavor. This is a kid friendly dish so even you 1 year old can have it. It’s awesome for me to have a web site, which is beneficial in favor of my know-how.